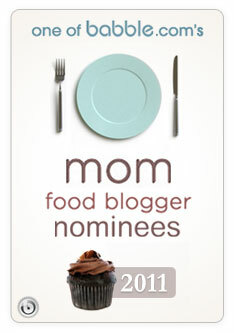 Please take a moment to go to www.Babble.com, where you can vote for my blog to be in the top 100 for 2011's "Mom Food Bloggers!" It may be a little late in the game (since it's already September!) It takes no signing up just one click! So hurry up and go vote here. You can also search alphabetically for Una Mamma Italiana & Click on the thumbs up! Don't forget to pass on the link to all your paisani!